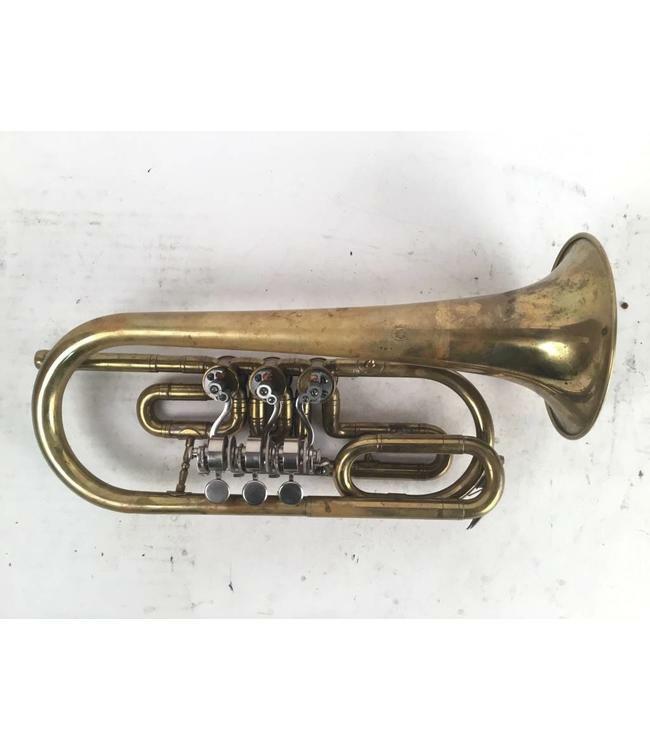 Used Rotary Cornet in the key of A, made in Leningrad, Russia ca. 1992. Paperwork (in Russian) indicates the cornet was originally in C and later converted to A. Has a Trumpet Shank. Comes with original case.